Very last minute cupcakes by my local kids shop..., originally uploaded by kylie lambert (Le Cupcake). Created & designed by Le Cupcake, everything is edible. 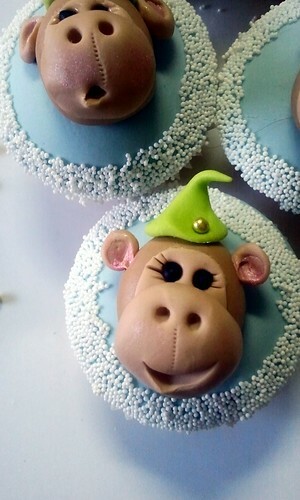 Funny cupcake !! :) I like the monkeys!